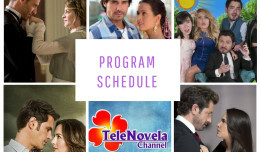 Passion: Episode 30 | TeleNovela Channel - Bringing you closer to lifes drama. Ursula agrees to marry Alvaro, the Duke of Salvatierra and plans to take revenge on Vasco and Ricardo. Meanwhile, Lisabeta badmouths Ricardo in front of Camila so she will leave them alone.